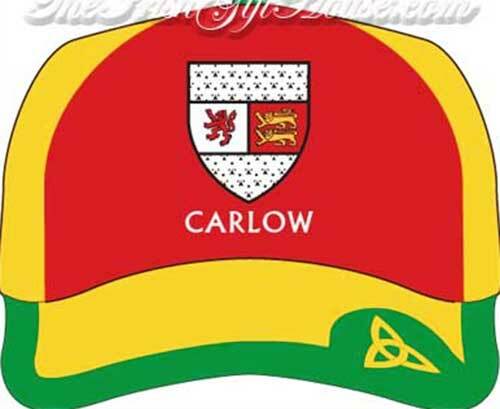 Irish cap features the embroidered coat of arms for County Carlow along with a Trinity knot. This Irish cap features the County Carlow name embroidered in Irish on the rear along with a Trinity knot is on the bill. This Irish cap features the County Carlow coat of arms embroidered in full color along with a Trinity knot on the bill. This 100% cotton Irish cap is a one size fits most design with an adjustable Velcro strap. The County Carlow cap is received with a Celtic knot history card that is compliments of The Irish Gift House.